Fort Myers Tree Service remains as the go-to company for all tree care requirements. Since the company was established in 2002, we have been dedicating ourselves 100% to the community of Fort Myers by providing the highest quality tree care services. Safety, efficiency and customer satisfaction are on top of our priorities. We are a team of highly trained professionals who are skilled in handling top of the line equipment and advanced techniques in tackling each job that we are given. We take pride in our ability to handle various kinds of routine tree services. This, with our responsive and reliable emergency response team is what makes us the number one choice in tree care. We are the tree service Fort Myers depends on for quality tree care. Fort Myers Tree Service is a locally owned and managed tree care company based in Fort Myers. Our services are available to residential, commercial and investment properties. We also handle tree care requirements of large scale developments. There is no job too small or too big that we can't handle. We ensure zero liability for our customers. Our company is insured, licensed and bonded. We provide the highest standard of service at a fair pricing. Allow us to take your tree care worries away. Give us a call and we’re more than happy to assist you with a free assessment. Here are a number of reasons to use Fort Myers Tree Service. Compare and contrast these areas vs your other considerations to know why our tree service company is the top choice for both our commercial and residential tree care in Fort Myers and Lee County. We are insured, licensed and bonded (when required). We do not only guarantee satisfaction in service. We offer you complete peace of mind by leaving you with zero liability. We take care of our staff as much as we take care of our customers. Our staff is provided with worker's compensation benefits which is another way of protecting our valued customers from liability. Tree service Fort Myers trusts. ​Everybody works hard for their money. We respect your time and money which is why we maintain quality of service at a fair price point. 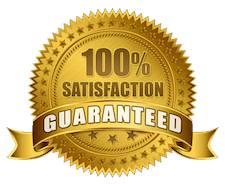 We are the top choice in Fort Myers because we guarantee 100% customer satisfaction. We are committed to giving you the best that we can give you in both of service and cost. Our team consists of highly trained and well experienced arborists who are skilled in a variety of jobs from tree removal and felling of gigantic trees to clearing away debris and wood chipping. We work hard to maintain a high standard. Our team are the most efficient workers on the job. From the second we arrive at the job location, you can count that we leave no stone unturned. We formulate plans that address every last detail so when we pack up and leave, there's nothing left for you to do. We handle the major job down to the stacking up wood to clearing away leaves from the area. We promise to leave your property in a much better shape than before. Additionally, see our service locations for a complete listing of the communities we serve. Fort Myers Tree Services does not just work for the community. We are part of the community. We are a locally owned and managed business. And we have been helping the community of Fort Myers in their tree service requirements since 2002. We are known and trusted. We understand just how important it is for you to feel safe and secure. This is why we do our very best to earn your trust and support. And we are pleased and proud to say that we are the top choice for tree services in Fort Myers. We are the preferred tree service company in Fort Myers because we offer topnotch services at a fair price. We maintain professionalism and unquestionable reliability at all times. We are committed to servicing our community, providing only high quality services that you can afford. We have the knowledge and the skills to match it. Our team is experienced in handling all kinds of situations which is why you're in very capable hands with us. We have the right tools and equipment to get the job done in the most efficient and cost effective way possible. Most importantly, we strive not only to meet but to exceed our customer's expectations. Fort Myers Tree Service only employs top of the line equipment with the most qualified staff to handle them. We put your safety first which is why we maintain a highly trained staff that employ safety protocols and practices in each and every job we handle. Our tree handling practices are guided by the International Society of Arborist (ISA) and Tree Care Industry Association (TCIA). We get the job done right in the safest manner possible. We guarantee safety first and foremost as we perform tree service work on each of our customer's property. We are a full service company. We are proud to tell you that we have the best tools and equipment our tree services require and the best team to handle all kinds of jobs from the smallest to the biggest ones. Fort Myers Tree Service makes an effort to maintain the topnotch condition of our equipment and invest in the continuous training and education of our staff. This is how we are able to ensure safety on the job, efficiency of our services and guarantee flawless customer service. We offer free assessments. You can take advantage of this by giving us a call. When one of our experts makes a visit, the job requirements will be assessed. And on that very same day, you will know how much to expect in fees. We understand that cost is an important factor in your decision which is why we make an effort to be transparent. We value your business and we strive to give our customers the best service that are cost effective. Among the major concerns of prospective customers is cost. The cost of our tree services vary depending on the specific requirements of the project. We take several factors into consideration when giving our estimated quotes. This is why we take the time to assess tree condition and situation to make sure we are able to give an estimate that is fair to both parties. ​Depending on the service, there are several factors to consider when determining pricing. The most major variables that affect cost include the following. Tree removal is a serious business. We always gets the job done right! Our team consists of highly trained professionals who understands the complexities of tree removal and employs safe methods and accurate techniques. Several factors come into play when determining the cost. These are tree location, height, diameter and species. Depending on these factors, cost of tree removal can range between $400 and $2000. Tree location can determine the risks of the job and the possible hazards involved. It's a variable that directly affects level of difficulty and identifies the manpower involved to get the job done as safe as possible. For instance, a tree that leans against a house or entangled in live power lines may require the additional services of a certified lineman. In which case, the tree service will be more costly to complete. The height of the tree helps us determine the amount of work required for the job. A bigger tree will naturally call for more work, more staff and the use of more equipment than a smaller tree would. Naturally, a bigger tree will cost more to deal with than a smaller one. The thickness of the tree has a huge impact on the time required to complete the job. It directly affects the amount of manpower and equipment needed. Naturally, this affects the price. Some tree species are more difficult to work with because they have a harder wood. Moreover, there are single-trunked and multi-trunked trees. All these come into play in determining the cost of service because they have a huge impact on the level of difficulty of the tree removal service. Tree trimming may be a job that doesn't seem as big as tree removal but it is just as complex if not even a more complex process. That said, it's best to leave the job to certified professionals. The pricing of our tree trimming services are affected by five factors including tree location, height, diameter, species and degree of trimming required. As a result of these variables, the cost can vary anywhere from $200 to more than $1000. Stump removal and grinding is a tricky job that requires consideration of several factors including the stump's location, the age, size and species of the tree. You can trust our team in handling such complexities as we have successfully eliminated stubborn stumps of all sizes, shapes and types. We help you determine whether a stump removal is necessary or stump grinding is enough as a solution. Our stump grinding service can cost between $100 and $400 while our stump removal service can range from $500 or over. A hazardous tree can be a little tricky to deal with. Is it a hazard because it clashes with a structure in the property? If the issue can be resolved by trimming a few branches, then there may be no need to cut the entire tree down. We can do it right and safely so the trimming won't affect the tree's health. Otherwise, tree removal is an option that should be considered. Is the tree dying or does it have a great deal of dead limbs? It may not be necessary to remove a tree that is completely healthy. If there are only a few dead branches, the tree can be trimmed and restored back to health. However, if the tree is dying and its health is on a rapid decline, tree removal may be the best resort. Is the tree causing an issue on your property? For a problematic tree, removal may be the best solution. If your tree is causing damage to a structure and costing you a lot in repairs, preserving it may prove to be more costly in the long run. If the tree has been badly damaged and beyond saving, we urge you to consider our tree removal service. An overgrown tree may be problematic but a simple trimming can solve it. An assessment of the problem is necessary to determine the most suitable solution. Does the tree add something to your landscape or property? When you take the time to take care of a tree with regular trimming, it can be as beautiful as can be. It will be able to add value to your property. This is why we encourage regular maintenance to maintain the aesthetic appeal of your landscape. You can avail of our tree services to maintain the health and cleanliness of your property. On the other hand, if the tree has a negative impact on the property and is beyond saving, we would recommend that you consider our tree removal service. * #1 Tree Service in Fort Myers for 10 Years in a Row!